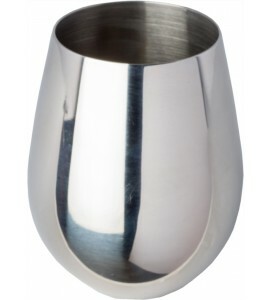 This increasingly popular stemless 18/8 stainless steel wine glass is quite handy. 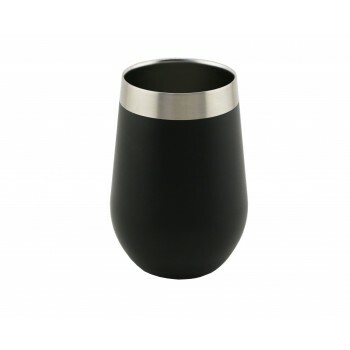 It can also be used for coffee, water or any other beverage. 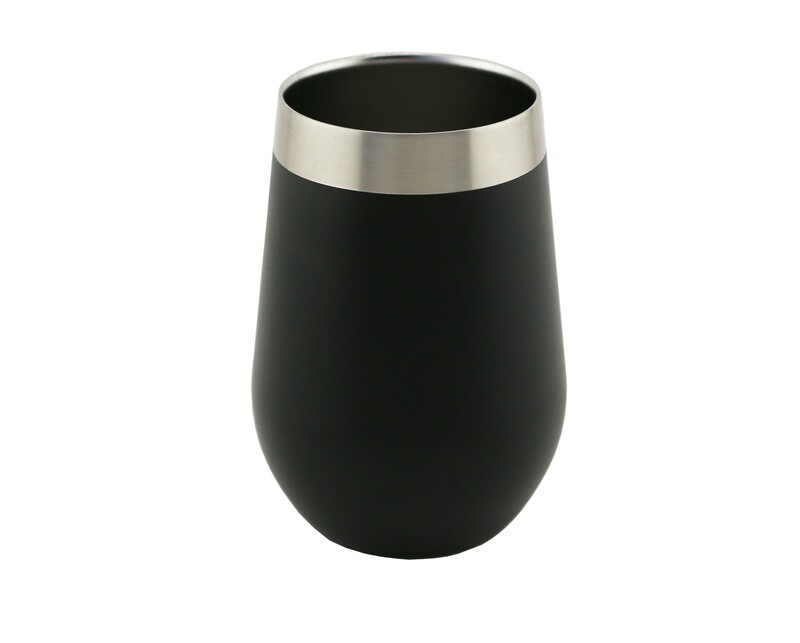 Keeps contents cold or hot because of its insulated triple wall. Does not sweat. Brushed stainless exterior, Black Texture, satin finished interior. 5-1/4”H, 3-3/8” dia. Imprint area Bowl: 2” x 2”. Imprint area on lid : 1-3/4” x 1-1/4”. Laser engraving available.